We are very excited to announce our new "ACES" and STAR Staff programs. Each month we will be highlighting our STAR Staff of the month, and providing kudos based on Attitude, Character, Excellence and Synergy (ACES). Our 2nd Quarter ACES program will be focusing on "Character". Joni has been with CCI since 2012 and she is our Bookkeeper extraordinaire. Joni has really stepped up and taken on a great deal of extra responsibility lately, helping to keep things running smoothly. We are proud to have Joni as our January STAR Staff and we all appreciate her hard work! Tina has been with CCI since 2017 and she is a DSP at our location in Preble County. Tina’s supervisor reports that Tina is a team player and a valuable member of the Preble County family. Tina can be counted on to help cover shifts, knows all of the individuals at both homes on the site, has a great attitude and always does an awesome job with completing documentation. We are very excited to have Tina as our February STAR Staff and we appreciate all her hard work and dedication! 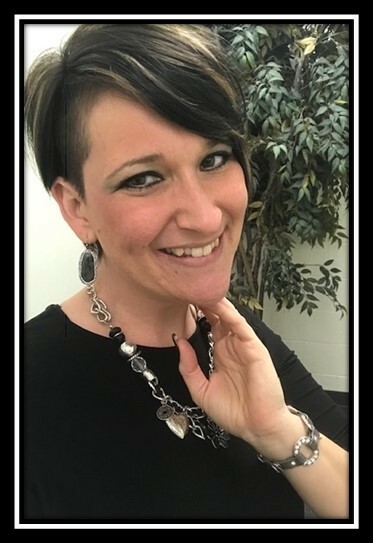 Carri has been with CCI since 2015 and she is currently a Case Manager in Clinton County. Carri has truly stepped up to help out in Clinton County. She has gone above and beyond in helping get paperwork caught up and prepared for a system change over, getting the office cleaned up and organized and providing excellent, caring support to individuals and staff alike. Thank you Carri, we truly appreciate your efforts! Come work with us as a Direct Support Professional. It's great here because the individuals are excited to see us and they're glad we're here for them! We offer a refreshing alternative to the typical fast food or big box retail stores. Besides, our entry level pay is higher($11.25/hr) with no experience needed. Let's Focus On The Details . . .
We provide full services & supports to individuals with intellectual & developmental disabilities & their families/guardians throughout southwest Ohio. Take a closer look: We are family owned & have a person-centered approach to every individual. Our services range from a variety of residential possibilities, transportation, & even providing jobs to individuals in our vocational setting & in the community.